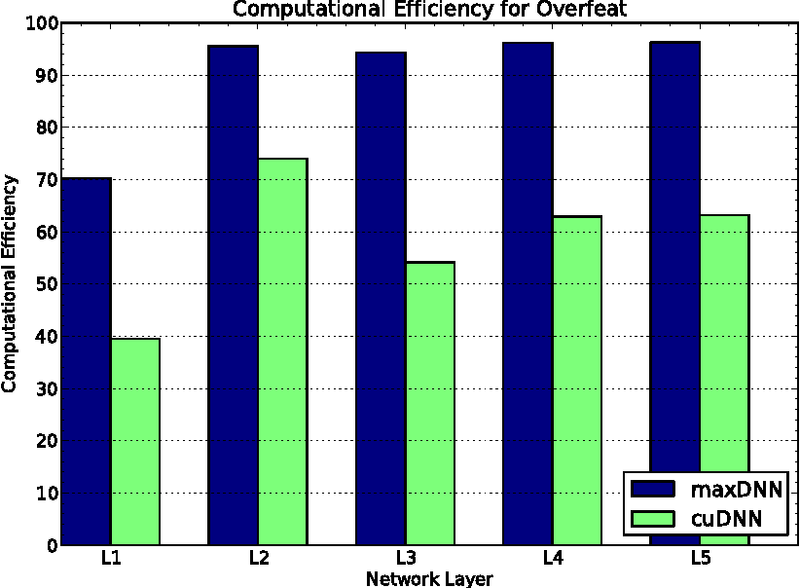 This paper describes maxDNN, a computationally efficient convolution kernel for deep learning with the NVIDIA Maxwell GPU. 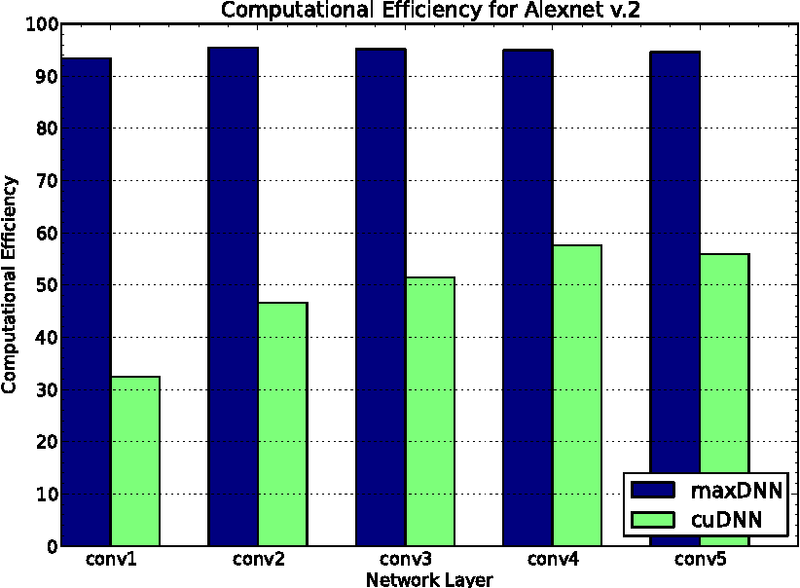 maxDNN reaches 96.3% computational efficiency on typical deep learning network architectures. The design combines ideas from cuda-convnet2 with the Maxas SGEMM assembly code. We only address forward propagation (FPROP) operation of the network, but we believe that the same techniques used here will be effective for backward propagation (BPROP) as well. 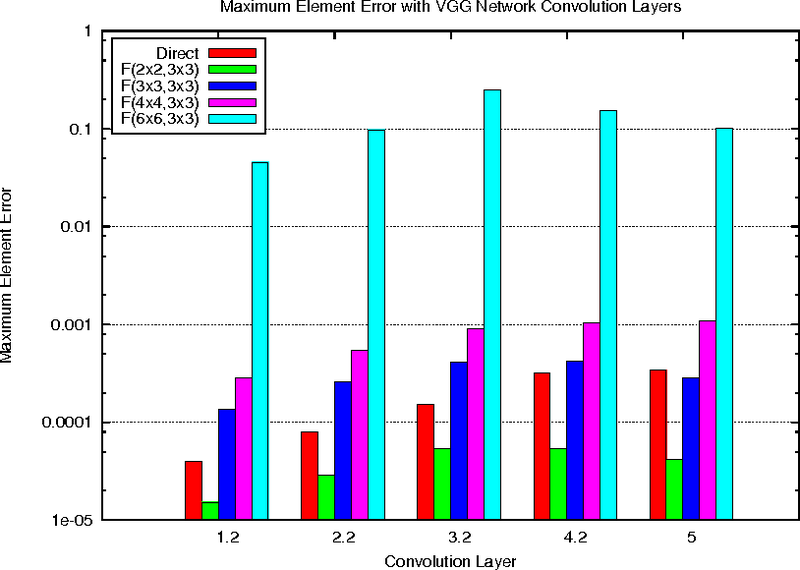 Deep convolutional neural networks take GPU days of compute time to train on large data sets. Pedestrian detection for self driving cars requires very low latency. Image recognition for mobile phones is constrained by limited processing resources. The success of convolutional neural networks in these situations is limited by how fast we can compute them. 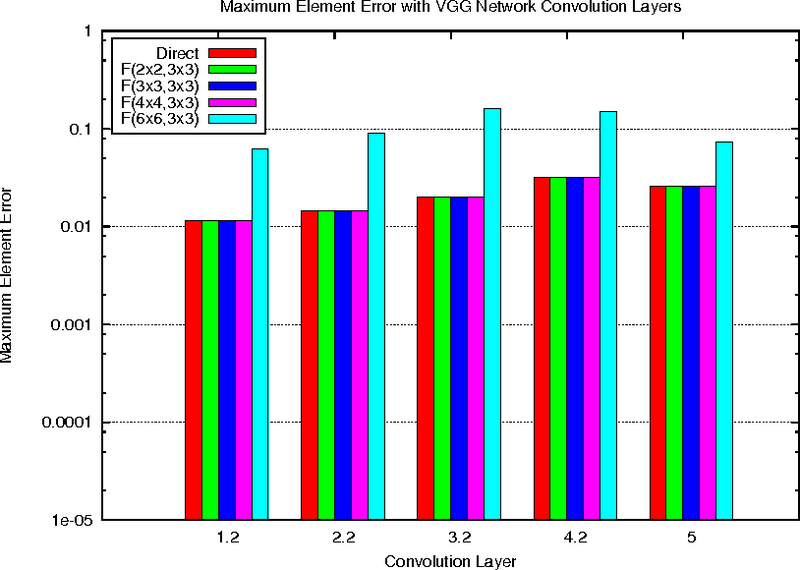 Conventional FFT based convolution is fast for large filters, but state of the art convolutional neural networks use small, 3x3 filters. We introduce a new class of fast algorithms for convolutional neural networks using Winograd's minimal filtering algorithms. 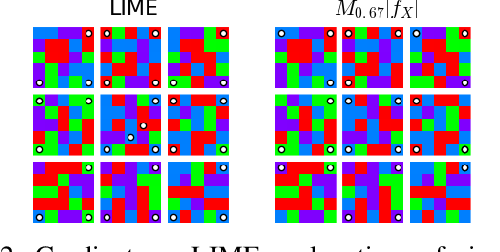 The algorithms compute minimal complexity convolution over small tiles, which makes them fast with small filters and small batch sizes. We benchmark a GPU implementation of our algorithm with the VGG network and show state of the art throughput at batch sizes from 1 to 64. Neural networks are among the most accurate supervised learning methods in use today. However, their opacity makes them difficult to trust in critical applications, especially when conditions in training may differ from those in practice. Recent efforts to develop explanations for neural networks and machine learning models more generally have produced tools to shed light on the implicit rules behind predictions. These tools can help us identify when models are right for the wrong reasons. However, they do not always scale to explaining predictions for entire datasets, are not always at the right level of abstraction, and most importantly cannot correct the problems they reveal. In this thesis, we explore the possibility of training machine learning models (with a particular focus on neural networks) using explanations themselves. We consider approaches where models are penalized not only for making incorrect predictions but also for providing explanations that are either inconsistent with domain knowledge or overly complex. These methods let us train models which can not only provide more interpretable rationales for their predictions but also generalize better when training data is confounded or meaningfully different from test data (even adversarially so). Deep neural networks have proven remarkably effective at solving many classification problems, but have been criticized recently for two major weaknesses: the reasons behind their predictions are uninterpretable, and the predictions themselves can often be fooled by small adversarial perturbations. These problems pose major obstacles for the adoption of neural networks in domains that require security or transparency. In this work, we evaluate the effectiveness of defenses that differentiably penalize the degree to which small changes in inputs can alter model predictions. 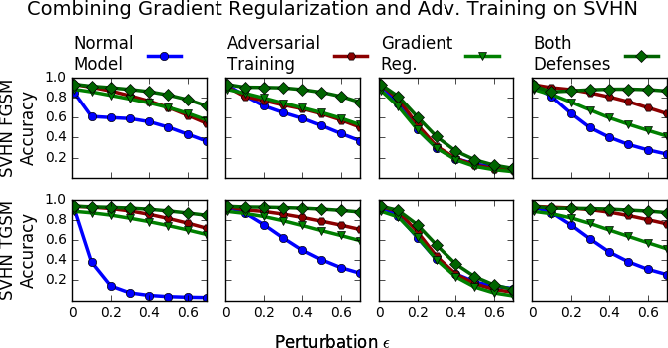 Across multiple attacks, architectures, defenses, and datasets, we find that neural networks trained with this input gradient regularization exhibit robustness to transferred adversarial examples generated to fool all of the other models. We also find that adversarial examples generated to fool gradient-regularized models fool all other models equally well, and actually lead to more "legitimate," interpretable misclassifications as rated by people (which we confirm in a human subject experiment). Finally, we demonstrate that regularizing input gradients makes them more naturally interpretable as rationales for model predictions. We conclude by discussing this relationship between interpretability and robustness in deep neural networks. There has been growing interest in developing accurate models that can also be explained to humans. 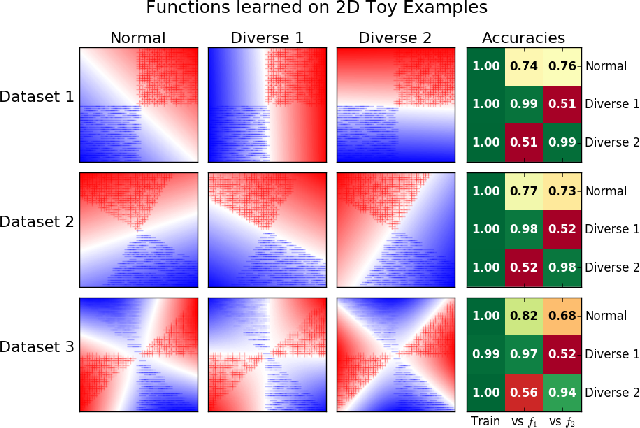 Unfortunately, if there exist multiple distinct but accurate models for some dataset, current machine learning methods are unlikely to find them: standard techniques will likely recover a complex model that combines them. In this work, we introduce a way to identify a maximal set of distinct but accurate models for a dataset. We demonstrate empirically that, in situations where the data supports multiple accurate classifiers, we tend to recover simpler, more interpretable classifiers rather than more complex ones. 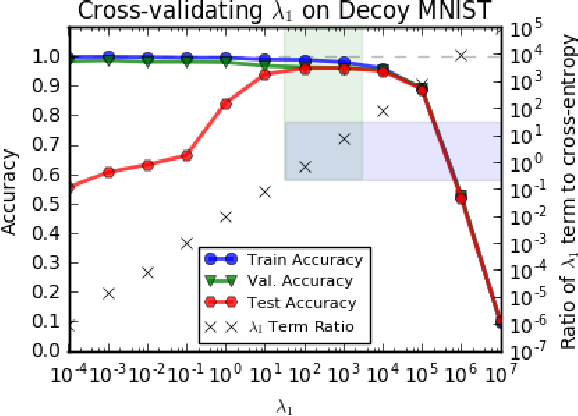 Neural networks are among the most accurate supervised learning methods in use today, but their opacity makes them difficult to trust in critical applications, especially when conditions in training differ from those in test. 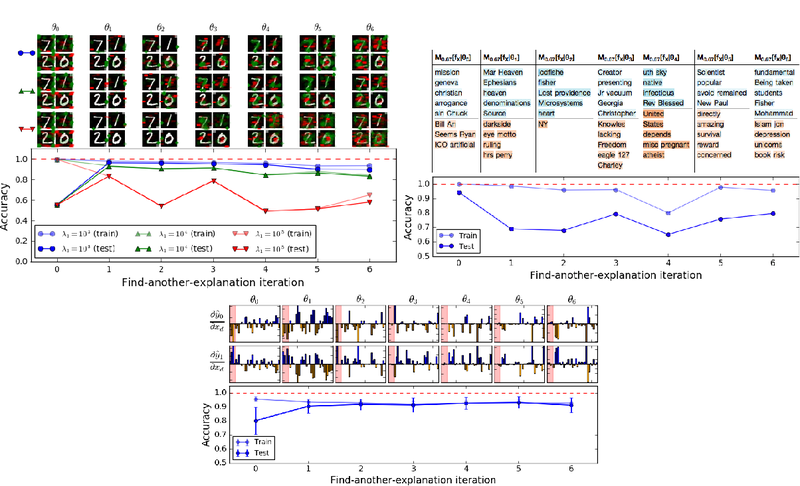 Recent work on explanations for black-box models has produced tools (e.g. LIME) to show the implicit rules behind predictions, which can help us identify when models are right for the wrong reasons. However, these methods do not scale to explaining entire datasets and cannot correct the problems they reveal. 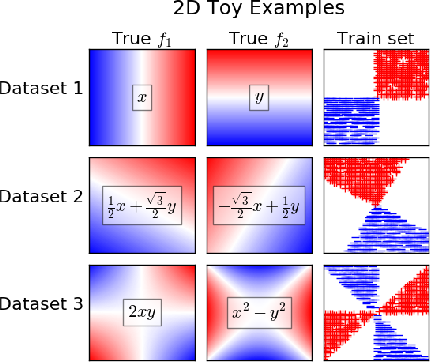 We introduce a method for efficiently explaining and regularizing differentiable models by examining and selectively penalizing their input gradients, which provide a normal to the decision boundary. 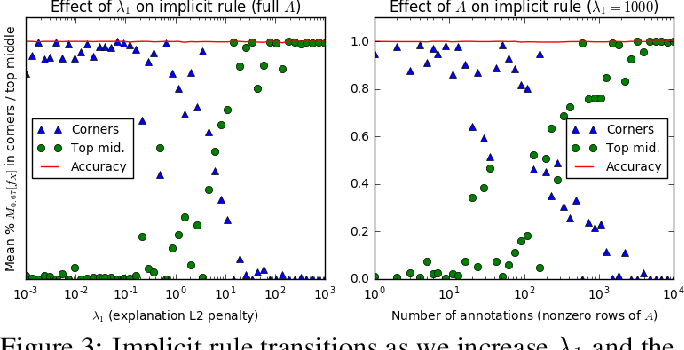 We apply these penalties both based on expert annotation and in an unsupervised fashion that encourages diverse models with qualitatively different decision boundaries for the same classification problem. On multiple datasets, we show our approach generates faithful explanations and models that generalize much better when conditions differ between training and test.